Salesnet is a configurable CRM solution designed to drive sales and marketing effectiveness, while providing users with proper support and security. Its features include marketing automation, sales and project management, training and support, and more. We compiled Salesnet user reviews from around the web and determined that they generally have positive ratings. We also compared the most popular pricing options available. Users who recommended Salesnet said that the software is straightforward and easy to use. They also like how Salesnet allows them to customize processes within the software. Users who gave Salesnet negative reviews said that they do not like the lack of a mobile app. They also said that while the dashboard is easily customizable, it still isn’t as intuitive as it should be. 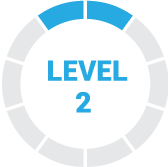 A user who gave Salesnet a positive review on G2Crowd said that he specifically likes the process builder feature of the software. He said that it allowed him to streamline processes and consolidate all the valuable information about his business in the platform. Overall, he said that the software makes his team efficient in accomplishing customer management tasks. One user who left a review of Salesnet on G2Crowd said that he dislikes how the software does not have a mobile application and that the software’s interface does not work well with Apple products. He also said that he doesn’t like that the important fields in the software are limited to a small number of characters. Salesnet has three subscription plans: Express, Professional, and Enterprise. However, pricing are not published on their website. Services from providers similar to Salesnet usually cost around $10 to $20 for apps with basic and straightforward functionalities, while more extensive ones cost around $50 to $100+ per month. The main difference between the plans is access to premium features such as enhanced email marketing platform, Microsoft Office add-ins, and level of customer support. Check out the list below of some of Salesnet’s features. Does Salesnet offer a free trial for interested users? Yes, Salesnet offers a 30-day trial for free. What Microsoft Office add-ins are included in the software? Salesnet’s Professional plan includes Microsoft add-ins for Outlook, Word, and Excel. Does Salesnet offer session time-tracking? Salesnet offers tracking of all application session traffic. This is automatically logged with a date/timestamp. This video provides an overall background on what Salesnet can do to help simplify customer relationship management for your business. 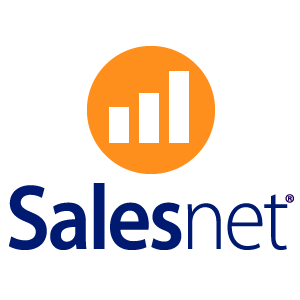 Not sure if Salesnet is the right fit for you? Read our reviews of the top CRM software for comparison or check out one of these three Salesnet competitors. The system is extremely user friendly. The overflow from lead to sale is well laid out for measurement and delivery. Automating a sales force. Results in a real time fashion.